Stacion Center for Contemporary Art Prishtina presents the Artist Talk with Alban Muja, which is part of the exhibition, 'My Name, Their City', a curatorial by Albert Heta. 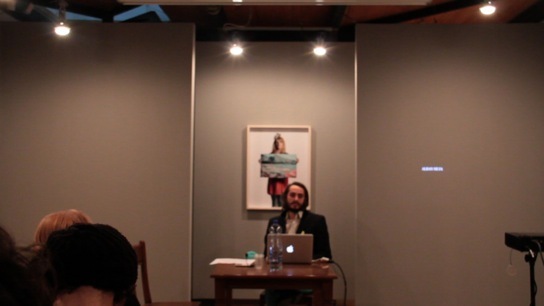 For the Artist Talk, Alban Muja will talk about his works and the context that sorrounds them. 80s. This is linked to a national idea/dream of unification of all Albanian territories around the border of modern day Albania into a greater ethnic Albania: originally conceived by the League of Prizren in the 19th century, in the second half of the 20th century becoming the main node of a collective fiction and the ideological driving force of a struggle culminating with the independence of Kosovo in the first decade of 21st century. Another factor was the impossibility of Kosovo Albanians to travel to what was felt by them to be the Motherland of their common ethnicity, which only helped foster stronger feelings of nostalgia about the neighboring Albania. For example, siblings that were caught on different sides of the border between the two countries at the time of the ‘closing’ just after WW2, had not been able to unite up until the fall of communist regime in the early 90s. As a legacy of that period, many people are called after Berat, Milot, Saranda, Gjirokastra, Shkodran, Butrint, Vlora, and so on; a self evident custom in Kosovo, but a rather strange one for the locals of these towns in Albania. The work 'My name, their city' is materialized through seven photographs, 80 x 60 cm. They depict Kosovo male and female individuals holding photographs of the Albania’s cities corresponding to their names. Alban Muja (born in Mitrovica in 1980) is a Kosovo-based visual artist, currently lives in Prishtina, having graduate BA & MA from the Faculty of Fine Art in Prishtina. His works cover a wide range of media including video installation, short film, documentary film, drawings, paintings, photographs and performance, and have been exhibited extensively in International exhibition, in festivals and shows including personal presentations as well. Mostly influenced by the social, political and social transformation processes in Kosovo and the surrounding region, he investigates history and socio-political themes and links them to his position in Kosovo today. The exhibition of Alban Muja 'My name, their city' is part of the project 'Identity Restoration Reloaded' by Stacion - Center for Contemporary Art Prishtina.This exhibition is supported by the Directorate for Culture, Youth and Sports of the Municipality of Prishtina, Ministry of Culture, Youth and sports of the Republic of Kosova, AMM, Uje Rugove, X-print and DZG. ‘My name, your city’, is a continuation of projects of Alban Muja that have Names as a starting point. What is a Name? What do we mean with Names, strange Names and unusual Names that contain a history or names of of streets that are part of political transitions, economical and social transitions? Names of artists have also been the subject of Alban Muja's research since 2003/2004. But the difference between works ‘Free your mind’ (2004), ‘Palestina’(2005), ‘Tourist City’ (2007), ‘Tibet’(2009), ‘Blue Wall red door’(2009), ‘Tonys’ (2010), ‘Ajda’ (2012) and ‘My name, their city’ is also the fact that the work is materialized in a different medium and is also presented in a different way, other than previous works of the artist.